When it comes to herbs, rosemary is pretty much the queen of them all because of the many health benefits it offers. And it seems like mankind was in on this secret and reaping its benefits since forever because rosemary was considered sacred by ancient Greek, Roman, and Egyptian civilizations. Fascinating, isn’t it? So, let’s take a look at all the wonderful ways we can benefit from this wonder herb and its essential oil. Belonging to the mint family of Lamiaceae, rosemary (Rosmarinus officinalis) is an aromatic, evergreen herb that is found in the Mediterranean and Asia. It has needle-like leaves and its flowers can be pink, white, purple or blue. Since it looks pretty, it is widely used as an ornamental plant. Rosemary holds a special place in gourmet cooking due to its wonderful fragrance and unique bitter flavor, especially when it comes to dishes that include any kind of roasted meat. But it’s the essential oil extracted from the leaves of rosemary that is its pièce de résistance. The essential oil of rosemary is extracted by steam distillation from fresh flowering tops that yield 1-2% oil. This oil contains a wide array of constituents and antioxidants. Its main chemical components are α-pinene, borneol, β-pinene, camphor, bornyl acetate, camphene, 1, 8-cineole and limonene. The nutritional value of rosemary herb is explained in the table given below. As you can see, the rosemary herb and its essential oil are packed with amazing nutrients. Which could only mean one thing – they offer a host of benefits for your health, skin, and hair. 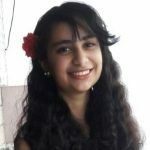 Rosemary oil is one of those unique ingredients that don’t just offer benefits for your physical health but also work wonders for your mental health. From relieving pain and aiding digestion to reducing anxiety, rosemary oil covers just about every base. Let’s look at all benefits it has to offer in detail. When it comes to protecting your body from diseases, antioxidants are one of your biggest weapons. Rosemary oil contains myrcene, a chemical that acts as a powerful antioxidants and hunt down free radicals that can damage your cells and cause a number of infections and diseases. Thus, inhaling rosemary oil on a regular basis can help boost your immune system (1). Suffering from aches and pains that never seem to go away? Then, it’s time you started massaging those areas with rosemary essential oil. This oil works as a powerful anti-inflammatory agent as it contains α-pinene that works to alleviate swelling and pain (2). This may sound a bit weird to you but rubbing rosemary oil on your stomach and the bottom of your feet can actually aid digestion. How, you ask? It’s because rosemary oil improves the quality of gastric acid secretion and the volume of bile produced by the liver – two components that are necessary for good digestion. Thus, it can help relieve constipation, stomach cramps, bloating, flatulence (yes, I mean farts), and symptoms of dyspepsia (3). When it comes to combating pain, rosemary is somewhat of a triple threat due to its 1,8-cineole, alpha-pinene, and camphor content. It’s an analgesic (reduces pain), anti-inflammatory (reduces swelling), and an anti-nociceptive (blocks the sensation of pain). Therefore, it has traditionally been used to alleviate muscle pain, joint pain, sprains, and the symptoms of arthritis and rheumatism. Though rosemary oil has been approved by the German Commission E for treating these conditions and proven to have these effects in rats, there’s no conclusive scientific evidence that it does so in humans (4), (5). The topical use of rosemary oil has been found to improve blood circulation in that area (6). Improved blood circulation can offer a host of other benefits like relieving pain and aiding rapid blood clotting, which could, in turn, speed up wound healing and promote hair growth. Are frequent headaches and migraines making you miss school/work? Then, all you need to do is rub a couple of drops of rosemary oil between your palms and cup them over your nose and mouth. The pain relieving property of this potent essential oil has been found to be very effective in reducing headaches (7). Time for a little quiz. 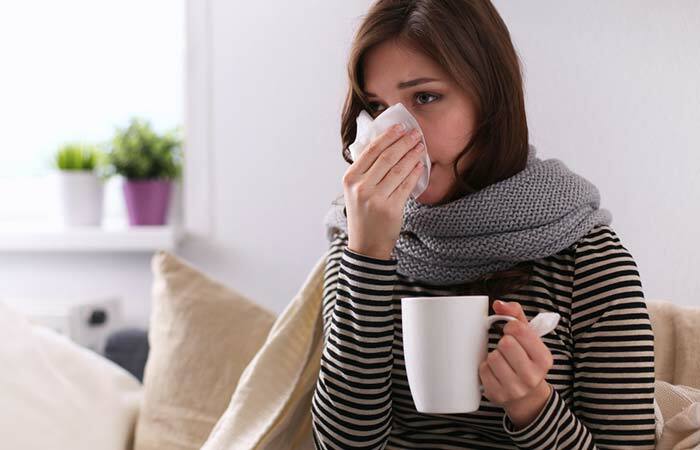 What’s the common factor between a cough, a cold, and a flu? Yep, they’re all caused by bacterial or viral infections. Rosemary essential oil, when inhaled, acts as a potent antibacterial agent and fights off these infections (8). If you want to breathe easy, it’s time you picked up a bottle of rosemary essential oil. This powerful oil has been found to provide significant relief when it comes to respiratory disorders (9). The eucalyptol (1,8-cineole) and camphor present in rosemary oil help dilate the bronchi in your lungs and aid better flow of air. Thus, it helps in relieving a number of respiratory problems like clearing the chest and nasal congestion, reducing cough, cold, and sore throat, and treating symptoms of respiratory allergies and sinusitis. Rosemary oil also possesses an antispasmodic property (relieves muscular spasms) that works well in treating bronchial asthma. Whenever you feel stressed or have that all too familiar “fight-or-flight” urge, it’s nothing but the hormone cortisol that is being released into your body. 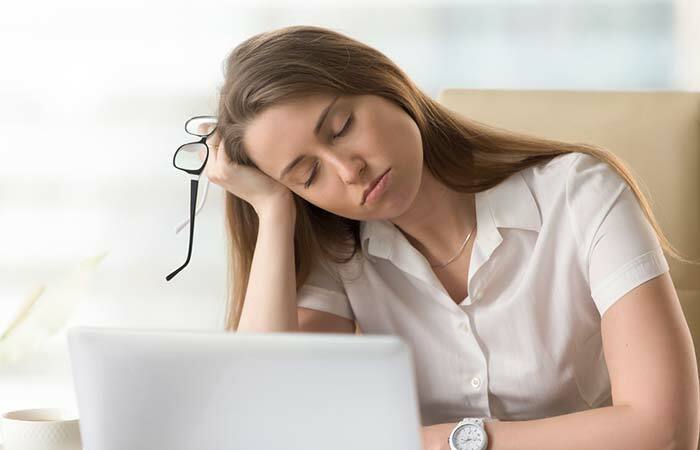 Anyone who suffers from chronic stress can have an excess of cortisol being released in their body, which could ruin the delicate hormonal balance and disturb the normal metabolism, thus giving way to a number of other diseases. But there’s good news! Smelling rosemary oil has been found to reduce the level of cortisol in saliva significantly (10). So, the next time you feel like the stress of day-to-day life is getting to you, indulge in some aromatherapy with rosemary oil. A lot of research is currently going on to test the effect of rosemary oil on cancer. Carnosol, a component of rosemary oil, has shown particularly promising results in fighting cancer (11). Extensive research done on animals has also proven the anti-cancer effect of rosemary oil on the colon, pancreas, breast, prostate, cervical, bladder, ovarian cancer, and leukemia (12). It has also been shown to inhibit the spread of liver carcinoma and slow down the growth of tumors (13). However, there is still a long way to go before an undisputed link is found between rosemary oil and its anticancer effects. We all know that rosemary oil emits a lovely fragrance that is unmatched by any other scent. But what you probably didn’t know is that it’s the volatile compound myrcene found in this essential oil that lends it this pleasant fragrance. Rosemary oil is extensively used in room fresheners, diffusers, and scented candles to remove bad odors. It is also used in cosmetics, scented bath products, and perfumes. Rosemary essential oil contains two very important compounds – beta-pinene and limonene – that possess antiviral properties. These two components have been found to reduce the infectivity of the herpes virus by an astonishing 100% when tested in-vitro (14). However, extensive research still needs to be done to see how effective the oil would be when inhaled or used topically to actually reduce the symptoms and infectivity of STDs in a real-life scenario. Half a teaspoon of rosemary oil mixed in a cup of distilled water works as an excellent mouthwash. The antibacterial activity of rosemary oil helps prevent cavities, gingivitis, and plaque build-up. It even gets rid of the bacteria Streptococcus sobrinus that takes root in your tooth cavities and is a major cause of tooth decay (15). Multiple research studies have proven that the antioxidant property of rosemary oil helps in healing injured liver cells in rats and also stops the spread of cancerous cells in liver cells in-vitro (16), (17). Inhaling rosemary has also been known to regulate the production and storage of bile by the liver and gallbladder, thus improving the functioning of the digestive system. The next time you find yourself getting distracted while studying for an exam or just can’t seem to focus on the work assignment at hand, inhale some rosemary oil or add a few drops of it in your room diffuser. Not only does it help improve concentration, but it is also great for boosting memory (18). Inhaling rosemary oil when you’re feeling fatigued or tensed acts as a stimulant and helps increase your blood pressure, heart rate, and respiratory rate. This, in turn, helps you feel fresher and more energized (19). Another great way that rosemary oil benefits mental health is by acting as an antidepressant. The carnosol and betulinic acid found in rosemary oil have been found create an antidepressant effect in rats (20). Aromatherapy using rosemary oil also helps people relax and treats symptoms of depression (21). Here’s some great news for all you nervous test takers out there! 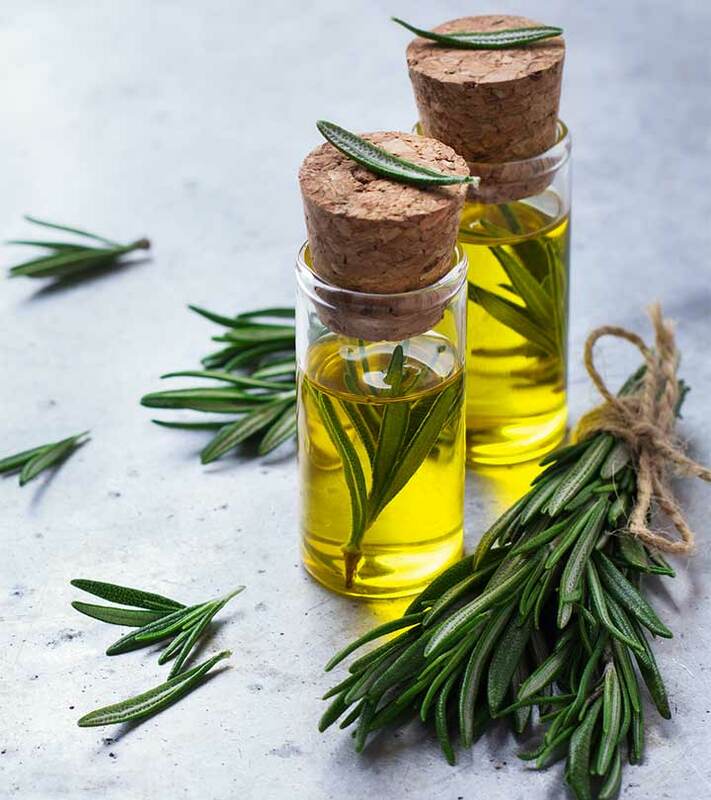 A research study had shown that inhaling rosemary oil before a test helped reduce test-taking stress and the overall level of anxiety in nursing students (22). The topical application of rosemary oil has been found to reduce the inflammation caused by acne (23). But that’s not all! It also reduces under-eye puffiness and improves circulation to give you glowing skin. Additionally, it fights against sun damage and free radical damage and tightens your skin to combat signs of aging (24). Say goodbye to all your hair worries with rosemary oil. It infuses new life to thinning hair, gives you thicker locks, and helps treat dandruff (25). Additionally, this essential oil has also been found to stimulate hair growth and treat alopecia (26). Constantly pestered by mosquitoes and other bugs? Well, I say, no more! Rosemary essential oil contains limonene and camphor that work wonders in repelling all sorts of insects, especially mosquitoes (27). 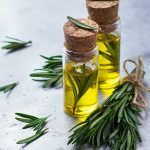 So, you see, rosemary oil offers a whole range of health benefits, which only begs the question of how is one to use it? Well, compiled below are some of the best ways to use rosemary oil to your advantage. To Clear Out Phlegm: Rosemary oil works as an excellent expectorant. Just rub a couple of drops between your palms and cup them over your mouth and nose for a couple of minutes to expel phlegm from your chest. For Thick Hair: We already know that rosemary oil is a godsend for people with thinning hair. But if you want to boost its hair thickening properties even more, simply add a few drops of rosemary essential oil to a tablespoon of castor oil and two tablespoons of coconut oil and massage it into your hair. Enhances Prostate Health: The anti-inflammatory property of rosemary oil works great in enhancing prostate health. Just add a couple of drops of rosemary essential oil to a teaspoon of any carrier oil (coconut or olive oil are good options) and rub it under the testicles. 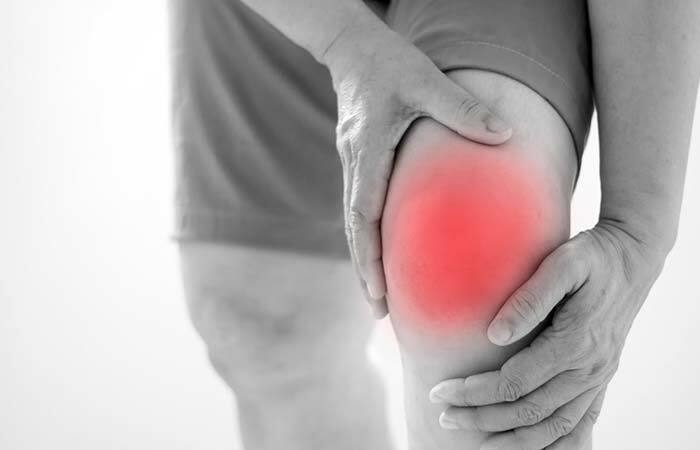 Relieves Muscle And Joint Pains: Let the anti-spasmodic and anti-inflammatory properties of rosemary essential oil work their magic on your sore muscles and joint pains. Combine a couple drops each of rosemary and peppermint oil with a teaspoon of coconut oil. Massage this concoction on the problem areas for a few minutes to relieve the pain. Essential Oil Diffuser: The pleasant aroma of rosemary oil can provide relief from a number of respiratory problems like asthma, bronchitis, sinusitis, and the nasal congestion from a common cold. Just add 5 or more drops of rosemary oil to your room diffuser or vaporizer. Want some trivia that’ll make you look oh-so-knowledgeable at the next house party? Then, here are some interesting facts about rosemary oil for your benefit. The name rosemary originates from the Latin word rosmarinus, which means ‘mist of the sea.’ This is probably because it doesn’t need much water to grow and can survive on the humidity provided by the sea. This explains why it grows so well on the coast of the Mediterranean Sea. A rosemary plant can grow up to 5 meters in height, which is pretty amazing considering it’s a shrub. Rosemary has been used as a symbol of remembrance and scattered on graves since olden times. This sweet plant has long been considered a symbol of fidelity and a good omen for marital bond. This is why sprigs of rosemary were fashioned into a headdress worn by the bride while the groom wore a twig on his chest. You can buy rosemary essential oil from your local drugstore or any major online shopping site. However, make sure you look at at the testing on the oil to ensure it is high quality first. Now, you may buy all the organic rosemary oil you want to avoid all the chemical preservatives in the world, but you can still experience an adverse reaction to it simply because of all the volatile and potent chemicals it is composed of. So, enlighten yourself a bit by reading up on the cautions for rosemary oil. It is always recommended to dilute rosemary oil or use it with a carrier oil because applying it directly on your skin in its concentrated form has been reported to cause dermatitis. If you are epileptic, it is best that you avoid using rosemary oil as it has been known to cause and aggravate seizures. Rosemary oil has the potential of increasing the risk of bleeding and bruising in people with bleeding disorders. Ingesting large amounts rosemary or its oil by pregnant women could possibly cause a miscarriage. Hence, it is best that pregnant and lactating women avoid it. Who knew that a tiny bottle of rosemary essential oil could offer a whole world of health benefits? If you would like to share your experiences with this wonder oil or have a health issue that you think could be resolved with it, comment below to let us know. Rosemary oil works through inhalation when added to a room diffuser or vaporizer. You could also use it topically, with a few drops added to your bath water or as a massage oil mixed with a carrier oil. You cannot extract the essential oil of rosemary oil at home. However, you can make rosemary infused oil by dropping a few sprigs of dried rosemary leaves in a glass bottle filled with olive oil. Secure the lid tightly and place this bottle in a warm, dark place for two weeks before using it. What are the oils that blend well with rosemary oil? Rosemary oil blends well with a wide variety of other essential oils like wild orange, lemon, jasmine, lavender, frankincense, peppermint, basil, and eucalyptus. Which rosemary oil is good for hair? Any pure and organic rosemary oil is good for using on hair when combined with a carrier oil like jojoba or almond oil. Does rosemary oil help hair regrowth? Yes, rosemary oil does help hair regrowth as it stimulates blood circulation in the scalp. “Antioxidant activities of rosemary (Rosmarinus Officinalis L.) extract, blackseed (Nigella sativaL.) essential oil, carnosic acid, rosmarinic acid and sesamol.” Akdeniz University, Turkey. “Anti-inflammatory and antinociceptive effects of Rosmarinus officinalis L. essential oil in experimental animal models.” State University of Maringá, Brazil. “Aromatherapy: Essential Oils for Vibrant Health and Beauty” Roberta Wilson, USA. “Rosemary.” University Of Maryland, USA. “Hydroalcoholic extract of Rosemary (Rosmarinus officinalis L.) and its constituent carnosol inhibit formalin-induced pain and inflammation in mice.” Azad Islamic University, Iran. “Investigations into the specific effects of rosemary oil at the receptor level.” Med. University Plovdiv, Bulgaria. “Effects of Aromatherapy in blending oil of Basil, Lavender, Rosemary, and Rose on Headache, Anxiety and Serum Cortisol level in the Middle-Aged Women.” Korean Society of Biological Nursing Science, South Korea. “In vitro antibacterial activity of some plant essential oils.” Loyola College. “Pharmacology of rosemary (Rosmarinus officinalis Linn.) and its therapeutic potentials.” Al-Fateh University of Medical Sciences, Libya. “Smelling lavender and rosemary increases free radical scavenging activity and decreases cortisol level in saliva.” Meikai University, School of Dentistry, Japan. “Carnosol: a promising anti-cancer and anti-inflammatory agent.” University of Illinois at Chicago, USA. “Supercritical rosemary extracts, their antioxidant activity and effect on hepatic tumor progression.” Universidad Autónoma de Madrid, Spain. “Antiviral activity of monoterpenes beta-pinene and limonene against herpes simplex virus in vitro.” University of Medical Sciences, Iran. “In vitro inhibitory effects of rosemary extracts on growth and glucosyltransferase activity of Streptococcus sobrinus.” Yuanpei University, Taiwan. “Antioxidant activity of rosemary (Rosmarinus officinalis L.) essential oil and its hepatoprotective potential.” University of Novi Sad, Serbia. “Antiproliferative, protective and antioxidant effects of artichoke, dandelion, turmeric and rosemary extracts and their formulation.” Università G. d’Annunzio Chieti-Pescara, Italy. “Aromas Of Rosemary And Lavender Essential Oils Differentially Cognition And Mood In Healthy Adults.” University Of Northumbria, UK. “Effects of Inhaled Rosemary Oil on Subjective Feelings and Activities of the Nervous System.” Chulalongkorn University, Thailand. “Antidepressant-like effects of fractions, essential oil, carnosol and betulinic acid isolated from Rosmarinus officinalis L.” Universidade Federal de Santa Catarina, Campus Universitário, Brazil. “Depression.” University Of Maryland, USA. “The Effects of Lavender and Rosemary Essential Oils on Test-Taking Anxiety Among Graduate Nursing Students.” Florida Atlantic University, USA. “Rosmarinus officinalis Extract Suppresses Propionibacterium acnes–Induced Inflammatory Responses.” Taipei Medical University, Taiwan. “Skin Rejuvenation: The Use of Rosemary from Food to Face.” Southwest Institute Of Natural Aesthetics, USA. “Randomized trial of aromatherapy. Successful treatment for alopecia areata.” Aberdeen Royal Infirmary, Scotland. “Mosquito repellent activity of essential oils of aromatic plants growing in Argentina.” Universidad Nacional de Córdoba, Argentina.